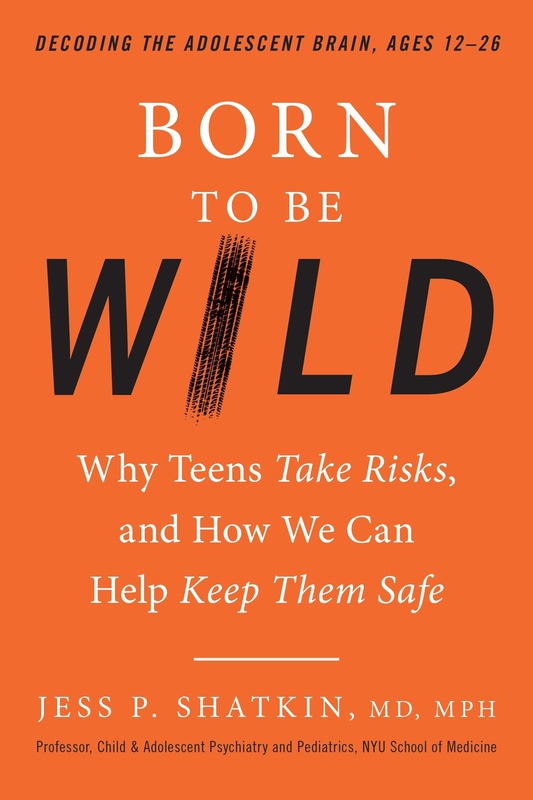 Acclaimed adolescent NYU psychiatrist and educator Jess Shatkin, author of Born to Be Wild - Why Teens Take Risks and How We Can Keep Them Safe stopped by our Brooklyn campus to help change our perspective on adolescence and how to support young adults aged 12–26. "Dr. Shatkin is one of the nations' leading experts on adolescence and also happens to be one of my very favorite professors—beloved by all who have the privilege to study with him at NYU," said Alexandra Hancock, Managing Director of Marketing and Communications for all BASIS Independent Schools. "What’s also great is that Jess approaches the themes of teens and risk taking from the perspective of a concerned dad himself." "I really loved reading this book," Ms. Hancock told the audience. "It has all sorts of illuminating ideas and perspectives on the importance of the intense phase of human life we call adolescence and why adolescence is critical for us; it unpacks peer pressure and why kids succumb to it, a scientific explanation for FOMO [fear of missing out], and just generally how our kids are wired to think at this age and how we can support them." Dr. Shatkin helped simplify for the audience the neuroscience driving the adolescent brain that often leads young people to make dangerous choices. He walked through why conventional wisdom on teen impulsiveness is incorrect and how that leads to ineffective programs for preventing drug use, and other widespread risky behaviors. 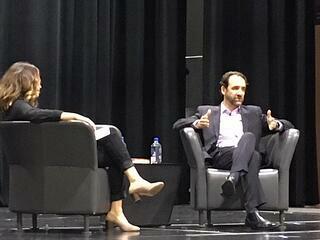 "Emotional pain is often felt as strongly as physical pain in adolescence," Dr. Shatkin informed parents. "That drives behavior, and parents needs to realize this and empathize." Unfortunately, most of the advice parents and educators hear today about teens is outdated and unscientific—and simply doesn't apply to their situation or reap the desired results, according to Dr. Shatkin. The often overwhelming force of peer pressure often trumps rational thought even though adolescents know better. At the event Dr. Shatkin walked through recommended strategies about how to role play difficult conversations to prepare adolescents for situations with high social pressure and risk. He advocated being open and nurturing a trusting relationship with children that does not skirt difficult conversations. have evolved. Dr. Shatkin conceded that the risks teens face today are very different than those facing their parents due to technology. He listed out specific recommendations for parents to use with their children that are also listed in detail in the book. Some of his specific recommendations revolve around using electronics only in shared space and working to open a dialogue around difficult subjects rather than to pretend nothing is wrong. In terms of practical advice for parents, Dr. Shatkin walked through the need for cultivating an open relationship built on trust with their children. By spending time talking about the development of the adolescent brain, he tried to get parents to empathize with their children and the biological forces at play in the adolescent years. He also reinforced again and again that parents need to give children boundaries, and adolescents actually want them. Our team attending the event took great note of Dr. Statkin's recommendations for how schools can support adolescents, and his suggestions align well with the BASIS Independent Schools approach. "If we really want to enhance our children's self-esteem, wellness, and future prospects," said Dr. Shatkin, "We must be purposeful about teaching resilience in school. Resilient adolescents manage risk better." He spoke about how this can take many forms and has increasingly led to improve children's organizational skills, executive functioning, impulse control, empathy, sense of purpose, communications skills and more. He pointed to the arts and sports as part of this, too, in addition to yoga and stress management techniques. Dr. Shatkin suggested teaching students about the neurobiology of sleep to help reinforce why it is so important. In his book he writes, "There's a lot that our schools can do to help our kids understand and manage their moods. Starting at a young age, we can teach our children about how their brains work... They will also come to understand that their brains, and therefore their moods, can actually get better with practice. We call this a 'growth mindset' and many studies have demonstrated that it can be a powerful effect with lasting impact." Wellness Week is coming up soon in our Brooklyn campus, so our Directors of Student Affairs for the Middle and Upper School are adjusting the programming based on some of Dr. Shatkin's great suggestions. 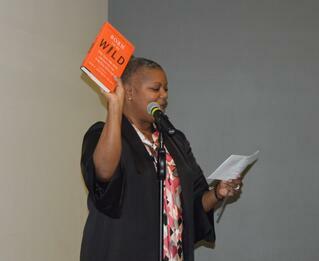 Parents interested in learning more about "Born to Be Wild" can visit Dr. Shatkin's website. Thank you to Dr. Shatkin for sharing your findings with our community, and thank you to Alexandra Hancock for taking Dr. Shatkin's child/adolescent psychiatry classes years ago at NYU and inviting him to speak at our school! 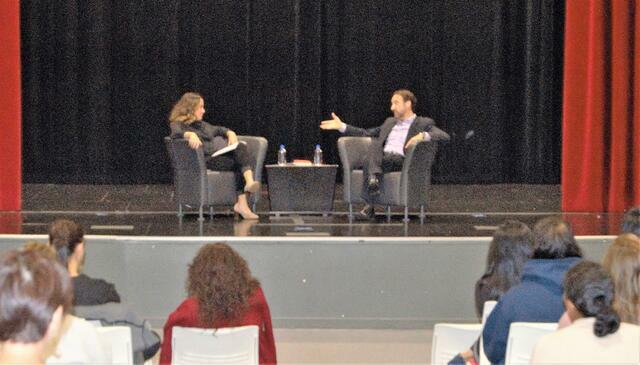 As the year progresses and our campuses host more speakers, we look forward to sharing similar recaps with you!